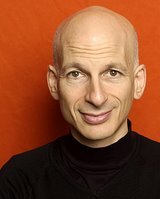 Snarky headline aside, Seth Godin — marketing author extraordinaire — got clever with his upcoming book tour and will make a fortune from it (further solidifying his staunch marketing prowess). He’ll also avoid being stuck in Fargo, North Dakota sans book sales in the process. Here’s how it works: if a state populace raises at least $25,000 in pre-purchased books (his new one), Seth will come and speak free of charge to local residents. Grass root ninjas Matt Reinbold, Phil Burns, and Jason Alba have put together an impressive local campaign that’s sure to bring the acclaimed author to Utah. If interested, click here for the salient details on how to participate, or pledge your $50 now.